Ok, so here is question about what would make a good but fast, roomy family boat. As some of you will know I had a post earlier about that Baja 280 project boat and I was thick headed and dint want to listen to anyone on here about just to leave it where it sits, and I finally gave in and listened. Now I have a question about what kind of boat should I look for if I want to go out for a weekend with the family but with some room in the cabin where we wouldnt have to craw our way through to get inside? I was only looking at the baja before because it seemed to have some good room but after searching around on the web, and some great advice from you fine and knowledgeable people on here, what would you recommend for a good size boat to be able to do this? Im open to any and all suggestions and PLEASE be serious. If you have had this kind of experience please help me out. 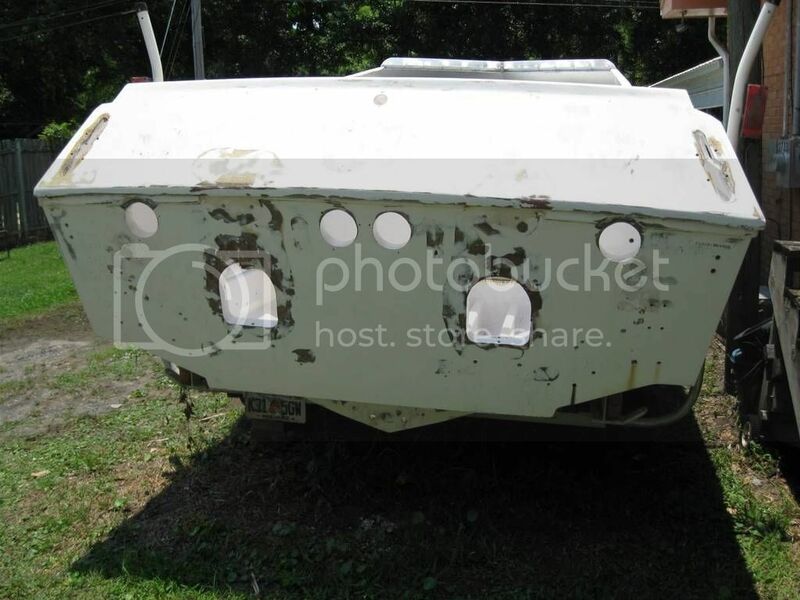 I will be looking for a project boat and would like at least a 30ft. THANKS FOR ANY HELP ON THIS AND YES, I WILL LISTEN THIS TIME, LOL. Also, opinions on either single or dual motors, whats better and why. 283 checkmate. Can see high 60s with a single blue motor. Lots of cockpit room better than alot of bigger boats. 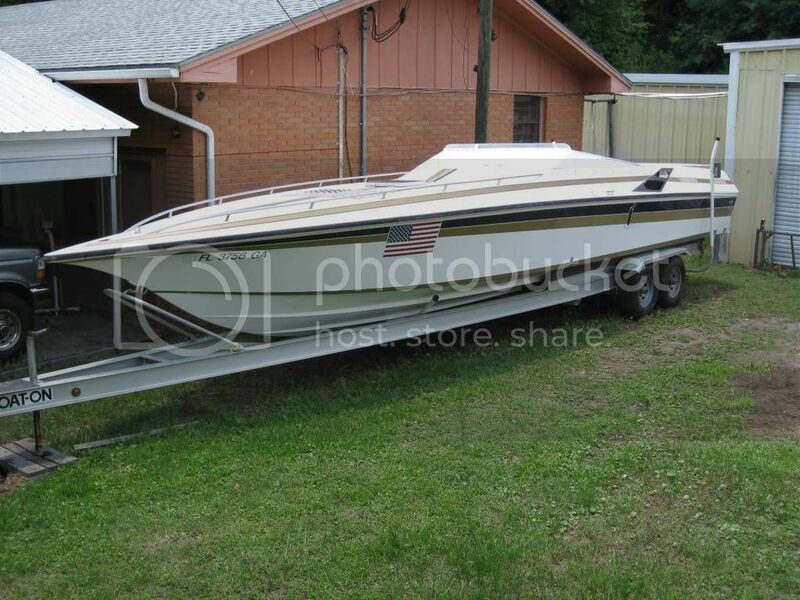 A nice cabin and the boat can handel pretty big water and you can tow it with a half ton. Twins will get your family home case one engine fails. 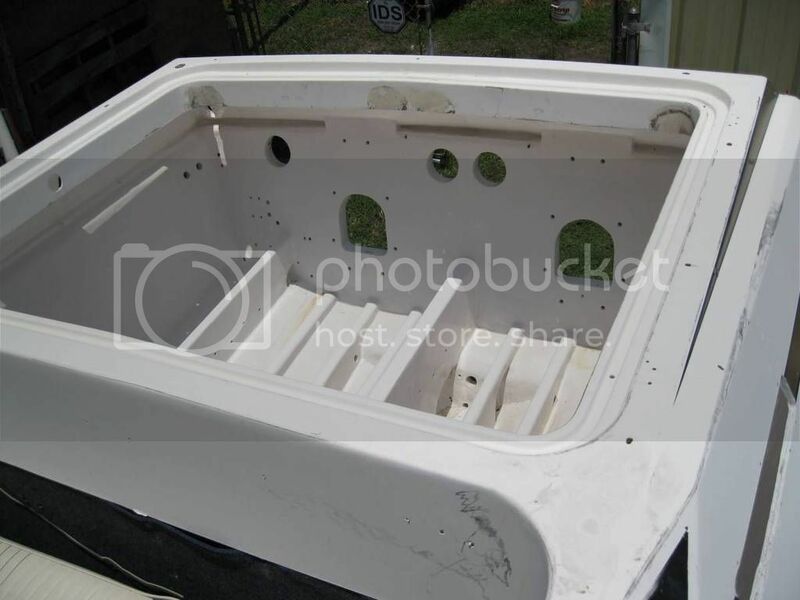 Flat transom, possible twin 400R outboard conversion? Last edited by noli; 08-16-2016 at 08:05 AM. Do you REALLY plan on using the cabin? If so, what for? overnighting? You mention wanting a "roomy" boat. Well most perf boats, no matter how big do not have "roomy" cockpits. 1/2 of the boat is cabin, 1/4 engine bay, 1/4 cockpit. 2nd, what do you consider FAST? Have to ask, what sort of budget? Good questions from Dave M also. The Baja was free so obviously you're doing a lot of rethinking. The more you spend up front should mean less to spend down the track. The Fountain pictured above looks like a nice 'blank canvas' assuming the work to date has been done properly and you want that style of boat. Going to be hard to get fast, roomy, cabin, cockpit all in one boat. Personally, I would be trying to stay simple which means single engine, stock standard and a brand name boat. Also, how big a family and what ages? Roomy as far as a cabin for over nighters or out for the weekend. Cockpit area dont really matter I guess because we will be able to spread out for the day and swim and soak up some sun. Fast, maybe around 60 to 65 with 4 people, 2 being teens and 2 adults. Would also prefer a wide beam as well. Hope this answers these questions. 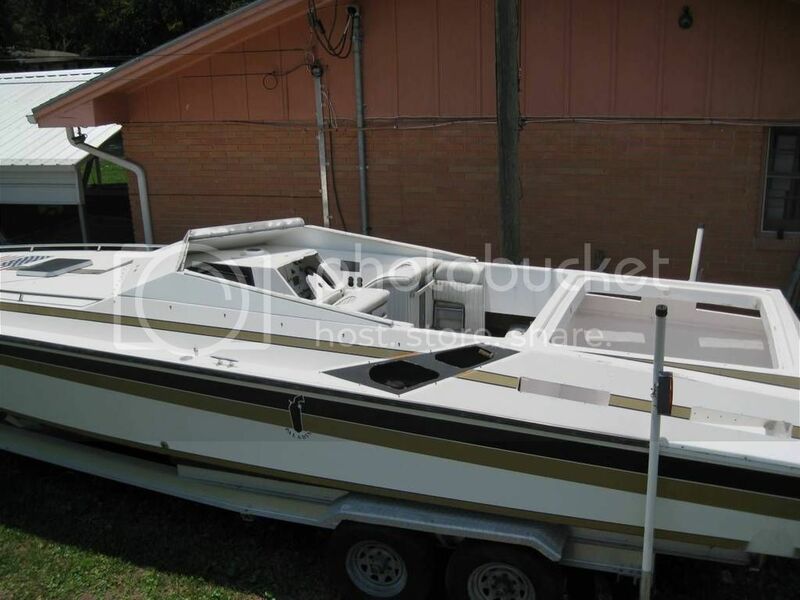 My first boat was a 26ft convinsor and I kick myself for getting rid of it but thats because nobody would ever want to go out for the day, it was docked at a marina so I spent many nights there myself, was a great size cabin so your your right their but the only thing I DIDNT like about it was the 6.4 beam, it was way to narrow of a boat and a ***** for me to steer out of the marina and ESPECIALLY docking it myself, that really sucked. Im just looking for something to build within the next few years to keep busy. I MIGHT be coming into a settlement in the next 3 to 4 years so free would be great, thats why I was looking at the baja but I do have an old sold project car I would trade for something if it could be delivered, I would even get a different motor and trans for it if someone was interested. I was going to build an old gasser with it but thinking now, it would just get me in trouble, haha. I hope you guys are kidding about this boat. If they gave you the boat and paid you $12K incentive to tow it away you would still be upside down by the time you put it back together.